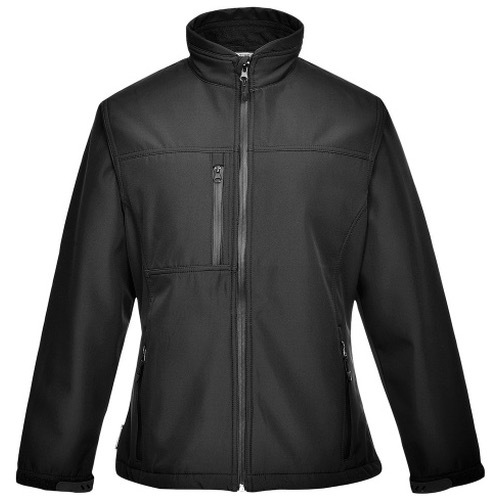 A Portwest TK41 softshell jacket cut for women. Ideal for all occasions with its windproofing capability, this is a more stylish alternative to a traditional fleece. The design is flattering and the features, such as the internal chin guard, water-resistant zip security pockets and adjustable drawcord hem, are extremely practical.